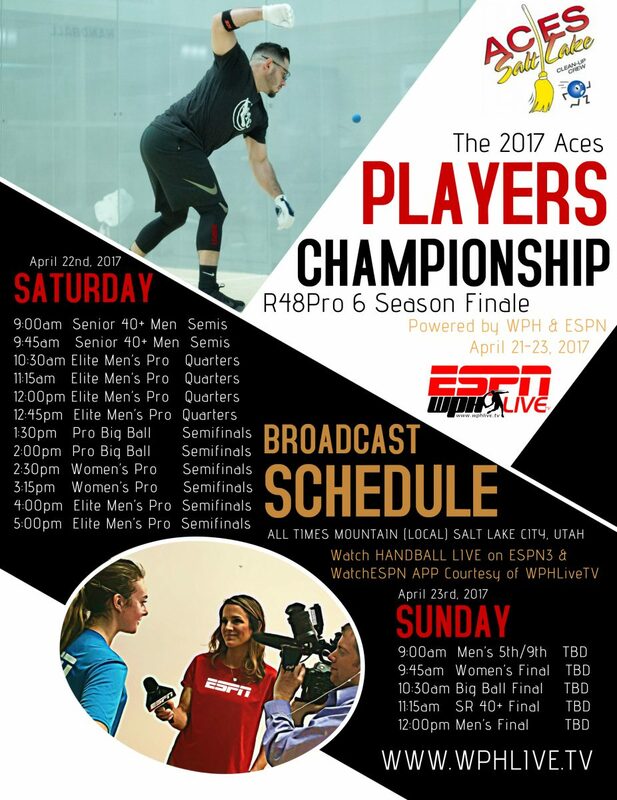 Witness History as the World Players of Handball team up with the Ace Clean-Up Crew @ the Sports Mall in Salt Lake City, Utah, for the conclusion of the Race4Eight Professional Handball Tour of 2016/17 on ESPN3 (HERE). The Tournament had a cap set at 110 since the day the entry flipped live back in May of 2016 and activated that cap in late March. Not to worry …the Aces Team opened the cap to some last minute players on a waiting list (April 2nd). You can get on a waiting list by contacting the event manager, Matt Stalsberg; while attaching Dave Vincent: Matt@AceDisposal.com & vincent@wphlive.tv (respectively). Spectators are encouraged to come and support the tournament (to be held at the Sports Mall @ 5445 S 900 St East, Salt Lake City, Utah, 84117). Regardless of the cap, junior players are encouraged to come and join in the festivities, participate w/pros!! All to Air ESPN3 & WatchESPN App Beginning Saturday, April 22nd – Schedule to be posted @ www.wphlive.tv by April 20th. 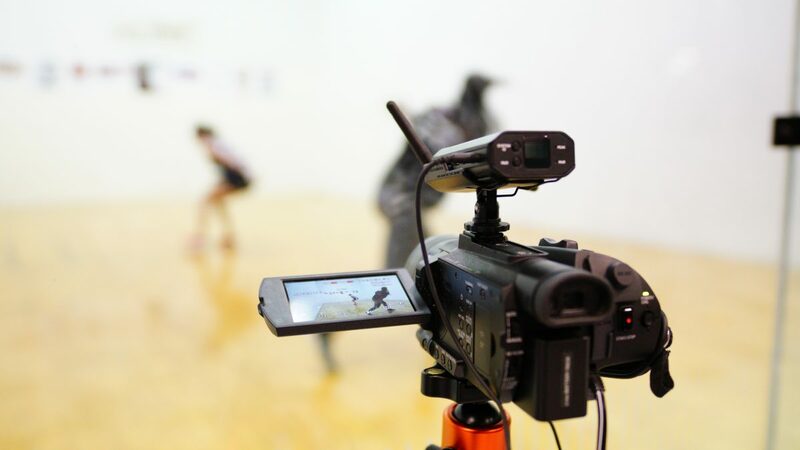 Opening Day Schedule: JR WPH Festivities, Thursday, April 20th (info@wphlive.tv) ~ Friday, April 21st: 9am Pro Qualifier ~ 3pm Pro Men Main Draw ~ 12pm Local Amateur (non-pro) event kick-off ~ 5pm Women’s Pro & WPH Big Ball 4W Singles. This event has been voted as the best stop on tour each of the past five years by the touring pros. Come see why! (HERE). SPECIAL INFO – A MUST READ: HEADS UP! THIS YEAR, THE ACE-CREW IS HOSTING THE PRO MENS, PRO WOMENS AND PRO SENIOR FINALS, PLUS PRO BIG BALL SINGLES, PRO/AM MONEY DOUBLES AND ALL AMATEUR DIVISIONS!! THERE IS LIMITED SPACE! THIS TOURNAMENT HAD A CAP, SO PLEASE UNDERSTAND THAT WE ARE NOW OFFICIALLY CLOSED FOR NEW ENTRIES!!! THOSE WHO ENTERED BEFORE APRIL 1ST WERE GIVEN A GUARANTEED SPOT IN THE EVENT AND A DISCOUNT. THE USHA 21 (RED) BALL WILL BE PLAYED BY THE ACE’S AMATEUR DIVISIONS AND WPH PRO WOMEN; MEANWHILE, WPH PRO MEN, SENIOR 40+ AND QUALIFIERS WILL USE THE R48PRO BALL, AS VOTED BY THE TOURING PROS. 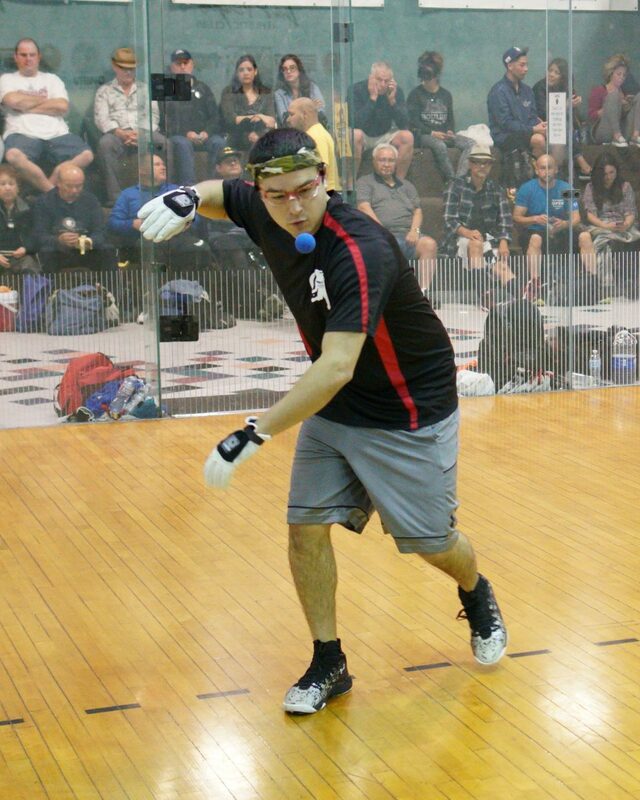 BIG BALL PLAYERS WILL USE THE RED PENN BALLISTIC WALLBALL. THE PRO/AM DOUBLES (A STAPLE AT THIS EVENT) WILL BE HIGHLIGHTED, SO PLEASE COME AND WATCH THE FUN. THE ACE’S CREW USES A COOL AND INNOVATIVE METHOD OF PAIRING PARTNERS, SO THOSE WHO HAVE ENTERED W/OUT A PARTNER WILL BE PLACED WITH ONE, AND THE REST WILL BE SETTLED ON THE COURT FOR CASH. GOOD LUCK AND PLEASE TELL A FRIEND TO FOLLOW ALL THE RESULTS!! !